The shift in media consumption is what lead Omnicom to tell businesses they need to slash TV budgets by 25%. 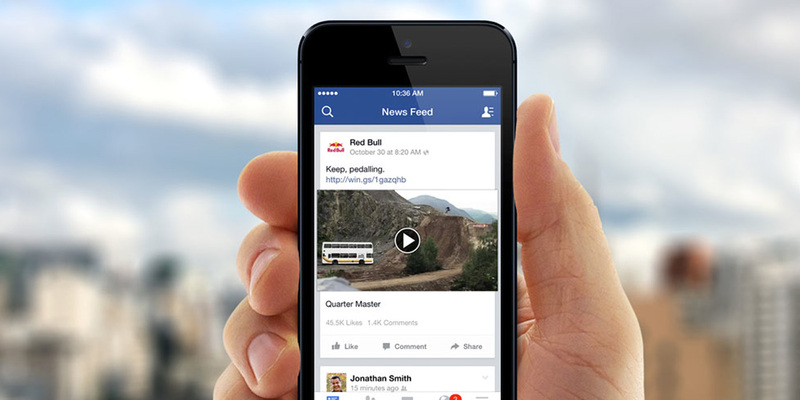 And if you pay attention to the trends on Facebook, you’ll notice how online video has risen to new heights. But what’s contributing to this shift in viewer habits? And why should you invest? The first thing I’d tell any business owner is to take a step back and look at the way they consume media. When was the last time you recalled an ad on TV, apart from what you’ve seen during the Super Bowl? Do you normally find yourself searching Facebook or Google to see what others are saying about a particular brand? I know I do..just about every day. Make no mistake–we live in a heavily connected environment. Digital technology is cheaper than it ever has been; in fact, there are virtually no boundaries on how, where and when people can interact with your content. But with all this connectivity, our attention is constantly disrupted. A survey done by Deloitte Digital Democracy says millennials and Generation X users, on average, perform up to three other activities while watching TV. Knowing that it takes an average of three or more exposures for a consumer to recall an ad, it’s even more important to leverage cross-platform advertising to reach your market. Ok. So what sort of content should I be making, you ask? Great question, and as my online mentor, Gary Vaynerchuck, would say, “Document. Don’t Create. ” In other words, don’t focus so much on creating content that just looks cool, but focus on documenting what your business delivers. Really dig deep to see what sort of value you would bring to your consumers and go from there. You own a restaurant? Ok, pick a simple recipe to share with your guests and show them how to prepare it in a video! Are you a personal trainer? Great! Fitness is a GIANT industry, but don’t just take my word for it. Bloomberg’s article on “Why You’re Paying So Much To Exercise” says it all. Start sharing those 5-minute workouts or quick exercising tips for viewers to engage with your brand. If your content is both valuable and entertaining, you’ll have people coming back for more every time. See the pattern there? You have to give to receive. It’s an age-old adage but extremely relevant today. What’s more, you establish yourself as a subject matter expert–giving people another reason to trust you enough to buy or sign up. Still not convinced? Here’s some numbers to help you understand how popular video marketing has become, according to HubSpot. If you’re interested in creating visual content that aligns with your marketing strategies, let’s chat.